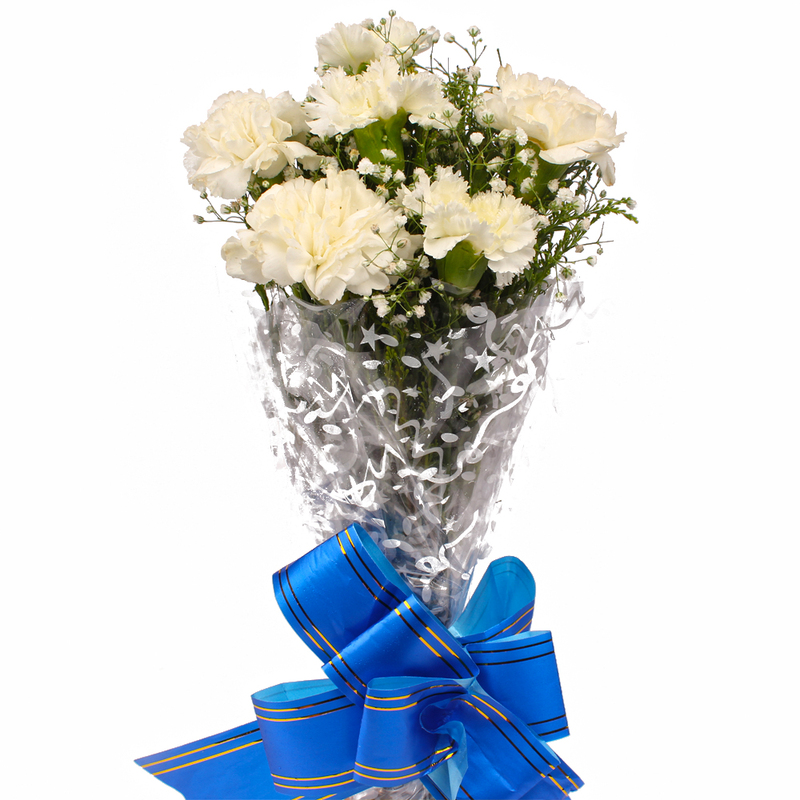 Product Consist : 6 White Color Carnations with green fillers in Cellophane Wrapping with Ribbon Bow on it. 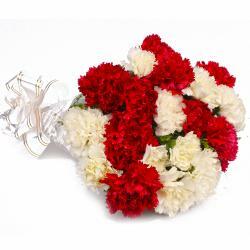 Falling in love with this bunch of beautiful Carnations is quite natural. 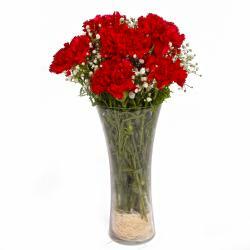 This bunch contains six stem of Carnations and will certainly make for a splendid gifting solution when it comes to occasions like Birthday, Anniversary, Independence Day, Thanksgiving Gift, Friendship Day. You can also use it for special days like farewells, housewarmings and even Valentine s Day if you wish. 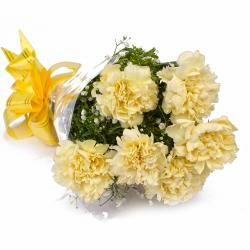 These flowers are neatly packed in cellophane paper for added sophistication and elegance alike. The matching ribbon bow on top only adds to the charm of this alluring gift pack. 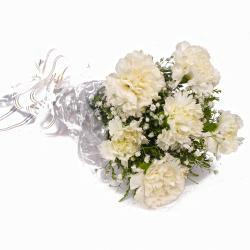 Product contains : 6 White Color Carnations with green fillers in Cellophane Wrapping with Ribbon Bow on it.